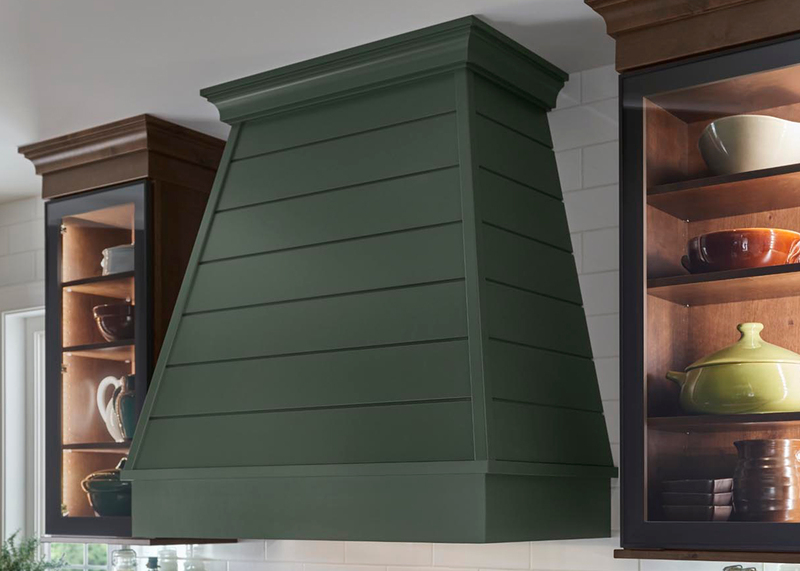 Wood hoods add striking elegance to the kitchen, and now you have two new silhouettes to consider for your design: the curved hood with either a wood or stainless mantel, and the tapered hood with either shiplap or a plain face. 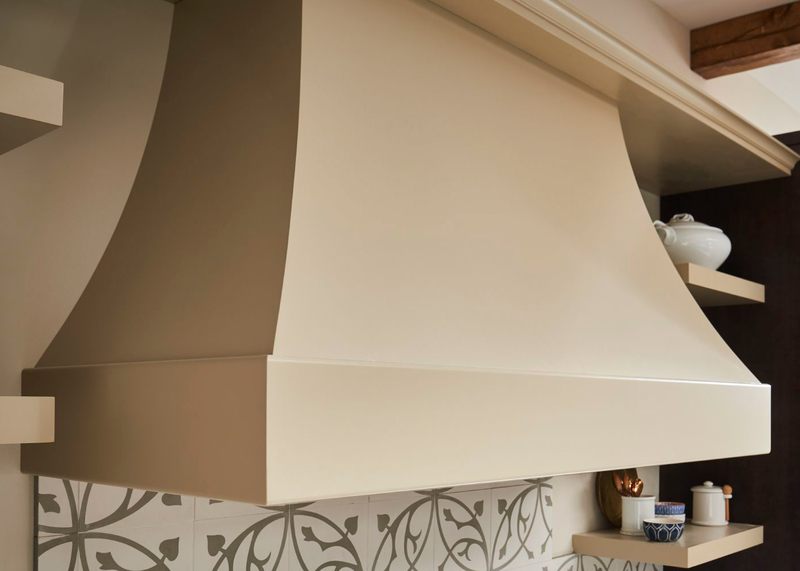 The simpler design of these versatile hoods make them perfect for homes in any style. From curves to color, create a distinctive look with a wood hood. Curved Hood in Safari Classic Paint. Please visit our Hoods Gallery to see more options and styles.